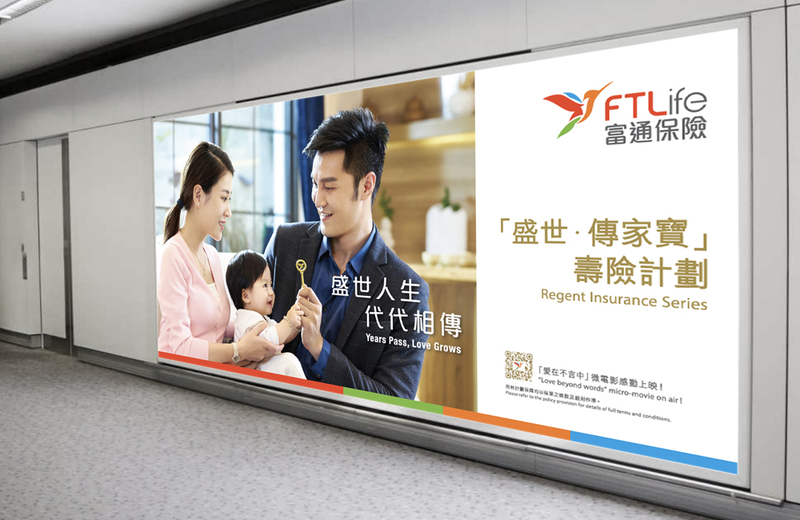 “Regent • Premier”, an upgraded version of “Regent” Insurance Plan, was introduced during the second quarter of 2017. Given the major product feature of passing on one’s wealth to the next generations, our team strategically conducted a series of communications to echo its competitive advantages. We produced a micro-film to evoke target audience’s association with their family by a story-telling approach, thus to arouse their affection to the product. With the aid of thematic ATL a, we successfully created product awareness among the mass and ensured consistency of our marketing communication.